Holyport Surgery welcomes new patients to register at the Practice. 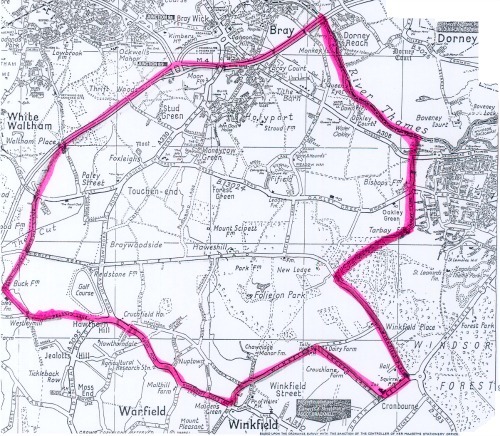 To register as a patient at Holyport Surgery you must live within the Surgery's designated NHS boundary, as shown on the map below. If in doubt please telephone or call in to the Surgery to see if you are eligible. There are several forms to complete and you must register as a patient before you actually require an appointment. If you take regular repeat medication (including the contraceptive pill) you will need to book an initial appointment with a GP before we can issue a prescription or a repeat prescription.